That’s the sound of stress. It’s known as the silent killer because it silently creeps up on you. You don’t realize the damage stress causes you until it’s too late. How do you prevent stress from creeping up on you? The most common advice is to maintain social contacts; get a good night’s rest; eat nutritious meals, exercise; meditate; avoid stressful situations. As teachers, it’s tough to avoid stressful situations. We’re always on. We’re dealing with bullying issues, fights, constant communication with our students, parents, fellow teachers and administrators. On top of that, we’re trying to be on time for our classes, before, during and after school duties, writing up lesson plans, creating tests, and then the endless marking. And, if this weren’t enough, there are the meetings that go on and on and cause you even more stress. It’s hard to turn it off even when we go home. But here’s a handy tip. This was given to me by one of my parents at the end of one school year. It’s a teacher stress ball in the shape of an apple. When feeling overwhelmed and stressed out, squeeze ball once for every day remaining in the school year. So the next time you feel like the stress is overwhelming you, take your handy squeeze ball and squeeze the stress away. Try it and let me know in the comments how you make out. Talk to each other, support each other, take care of each other. 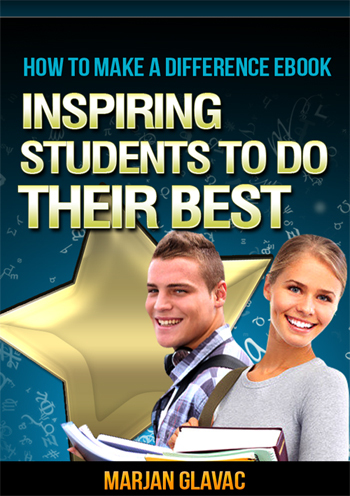 Click here to learn a little known teaching strategy that works with your angriest, most disrespectful student to ever enter your classroom. Discover over 60 ways to quench the flames of teacher burnout to make a healthier and happier you and the surprisingly simply strategies, tips, and lessons to making teaching fun again.